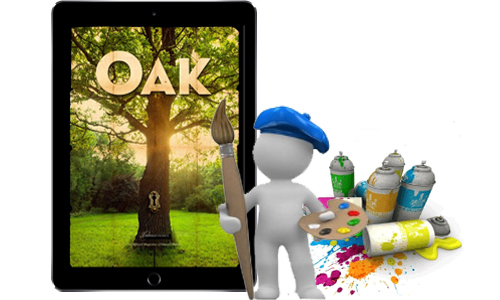 HTML5 brochure maker Mobissue empowers you to get impressive results which perfect for iPads, iPhones, Android tablets and smartphones. Known as the best top free brochure maker, Mobissue serves to publish professional quality digital brochures which are optimized for all major mobile devices. Most importantly, Mobissue is a kind of online brochure tool for EVERYONE! You are able to create HTML5 brochure online directly or publish it to local for sharing conveniently. Whether you are advertising a new product, or informing the opening of a restaurant, Mobissue can meet your needs. Its flexible design tools, variety of interactive media, along with libraries of built-in images and Flash give you ability to create a digital brochure combining gorgeous design with professional quality. The professional-looking digital brochure can let you feel like a design genius. What makes digital brochures created with Mobissue stand out is that it looks lifelike and vivid. 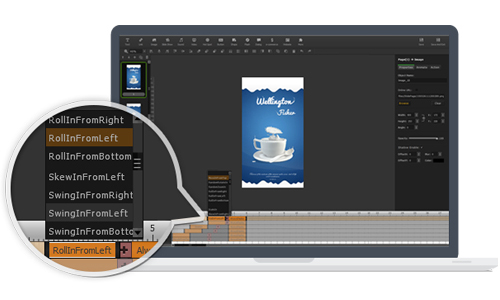 Apart from adding interactive media contents to your brochure, the powerful Animation Editor also allows you to add animation effects. You have complete control over how and when the media appear and disappear. It is not hard to find that more and more people turn to read on their mobile devices, whether they are waiting for a bus, walking on the street or being at the cafe. As a publisher or a marketer, you cannot ignore but win these mobile audiences, since they have decisive effect for the success of your marketing campaign. Mobissue supports to distribute mobile-friendly HTML5 publications. With its single-click publishing, it gives you power and speed you need to publish your interactive brochure in HTML5 format. The publication will look and work perfect in all major mobile platforms including iOS, Android and Win8. 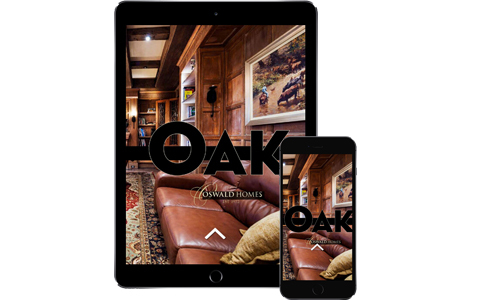 Your audiences can access your brochure from whatever mobile devices they are using and have fantastic mobile touch experiences.